STI markets a unique range of products throughout the world to prevent false fire alarms, theft and vandalism. 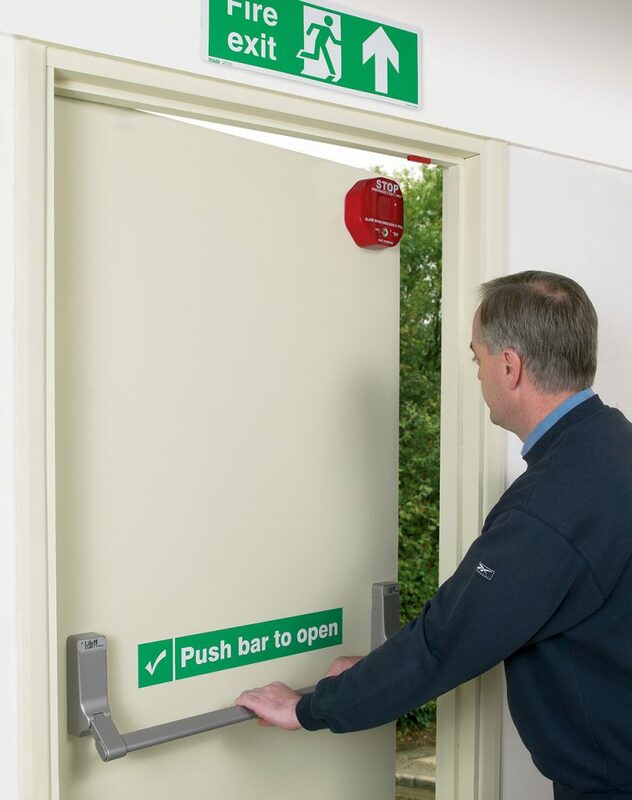 With a number of new features the Exit Stopper is a unique and highly effective way to prevent unauthorised use of emergency exits and fire doors. It also serves as an inexpensive security device which helps prevent theft. If a protected door is opened, the Exit Stopper emits an ear piercing 95/105 dB alarm. Once the door is closed a number of reset options are available including an automatic function. A key authorised personnel can be used to override the alarm. 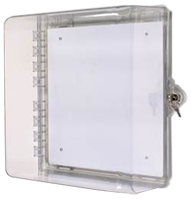 The virtually indestructible polycarbonate housing also provides a highly visible deterrent. With multiple fitting options, the Exit Stopper can protect single or double doors with any style of door mounting and can be installed to protect doors within minutes. The Exit Stopper is also available with wireless technology which enables remote monitoring of exit doors that are fitted with the unit. Transmitters have been fitted into each of the devices that can then be remotely monitored by a small wireless control panel. Mrs Pawar, The Island Residential Home, said: “The residents at the home were continuously leaving the emergency exit doors open. Since the Exit Stoppers were installed, it has proved very successful in deterring the residents from misusing the Emergency Exits. There have been a number of updates made to the Exit Stopper in 2018 that will enhance its protection against unwanted exits and entries. 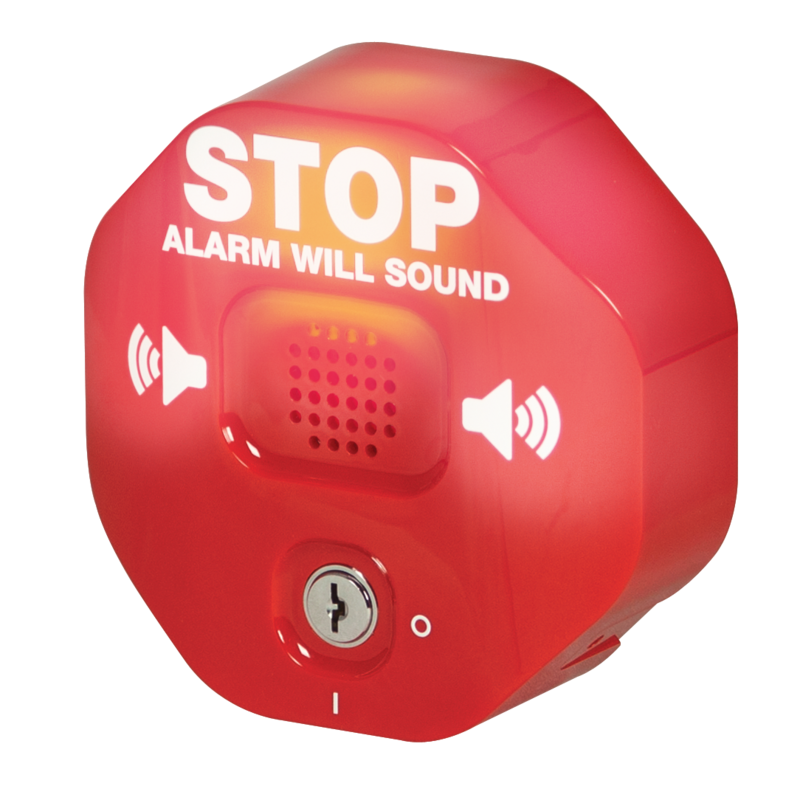 Alongside the audible warning alarm, all models will be supplied with a visual flashing beacon. The upgrades also include a low battery warning indicator, universal sound symbols and dual language on/off icons. While all models will still be supplied with English; the housing has been updated to allow space for 20 additional language labels to be installed – allowing the one model to be used globally. For further information on how the Exit Stopper can help prevent unwanted and unauthorised use to exit and fire doors, contact the Sales Team on sales@sti-emea.com, or call +44 (0) 1527 520 999. Intersec 2019: A great start to the year for STI!